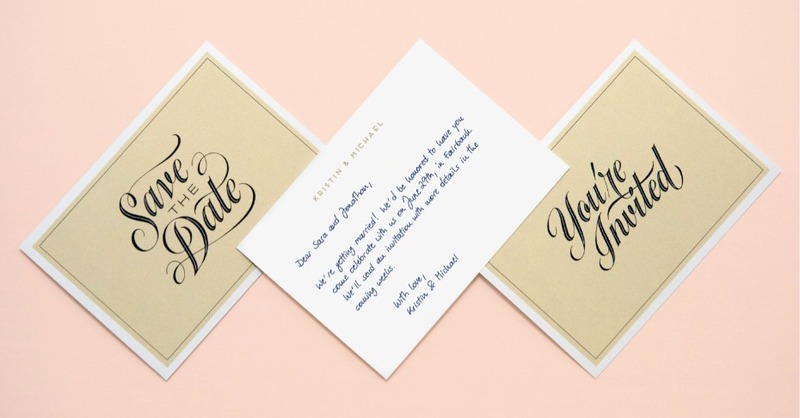 How Cool Are Handwritten Save-the-Date Cards? Let’s be honest, Save-the-Dates are one of the best parts of wedding planning when you first get engaged. At least it was for me! As soon as we had picked a date and a place to say ‘I Do,’ I started looking for a perfect STD. I could not wait to get them and start sending them out to my favorite people in the world. 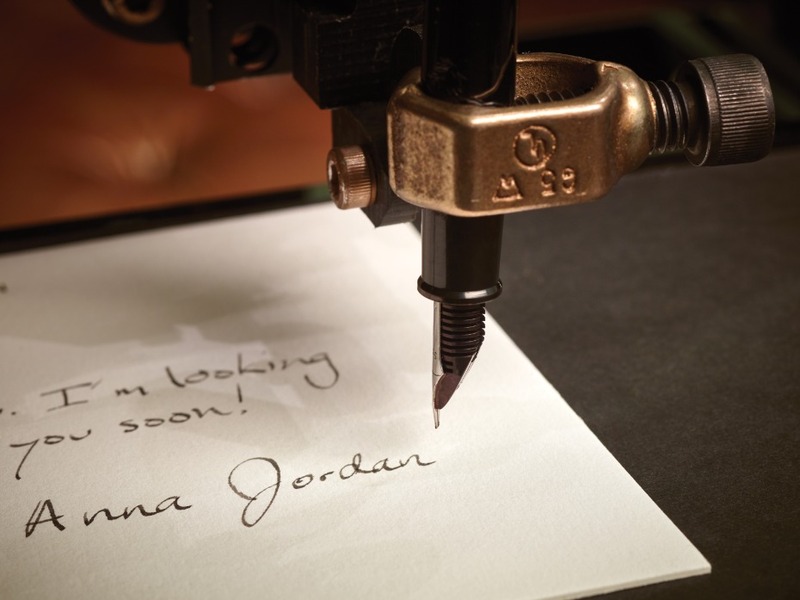 Of course, there are sooo many designs to peruse through in stores and online, but I’d be lying if I said I had ever seen a handwritten note-style Save-the-Date ((that didn’t look like one of those old-school write-in invites our parents used to send out for our birthday parties)). Now that I know it’s possible, via Bond, I’m hoping I can telephone TF out of this rockstar correspondence company - so that maybe I’ll be lucky enough to receive one myself one day! The team sponsored this post to remind us all how super special anything handwritten is. So, yes, Save-the-Dates pretty much speak for themselves. As soon as a potential wedding guest opens one up and sees those three words emblazoned on top, calligraphed below a cheesy, but cute photo of the smiling couple, or printed in bold on the bottom, they magnet that baby onto their fridge, block out their calendars for that all-important date, and forget about it until further notice. But this is the FIRST piece of wedding correspondence that a couple ever sends out. The first impression is paramount, and it doesn’t warrant fridge space just for showing up…. #sorrynotsorry. A handwritten note from one of my best friends, though, freaking out about her engagement and inviting me to her wedding on such and such date is next-level lovable. Now that deserves 😍 and 👍. 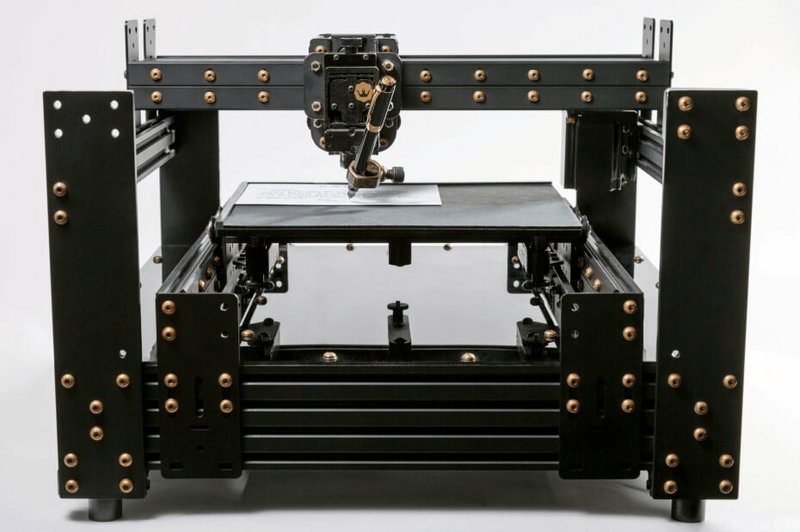 Just-engaged and getting close to sending things out? Here’s how to impress: go with something script and in your own words. After all, your word is your bond for that epic event. 🎤drop. Select your stationery. 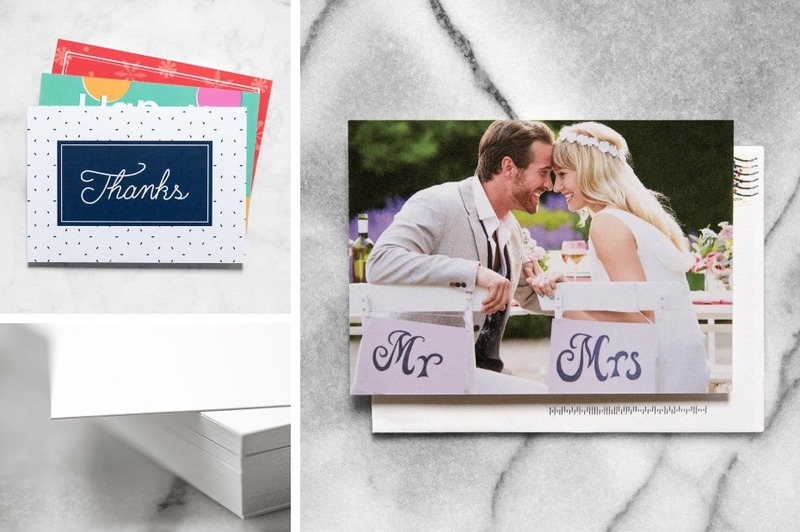 Bond has a bevy of modern and traditional note cards to choose from, and all can be personalized with your and your fiancé’s names ((for that extra special touch)). You can even upload an image to create your own, so keep those engagement pics on hand. All designs are printed on high-quality, medium-weight paper that has a subtle, wedding-worthy texture. You get to work on that apropos prose. Compose your message - something that sounds like you (‘Brian finally put a ring on it 😉, and we’re ready to party!’), and then let the mail merge feature do its job to customize each note with each of your guests’ names. Select from one of the unique handwriting styles ((my fave is Rivington, but you can actually send in your OWN handwriting to be digitzed - for a cool $500 - you know, if you rank yourself on par with Meghan Markle’s level of penmanship)), and start picturing how your messages are going to look being written with real ballpoint pens. Oh yes, these fonts don’t just look like handwriting IRL, they ARE handwriting IRL. Turn your guest list/invitee ledger over to the pros at Bond and let them + their team of 🤖🤖🤖 handle the rest. That means personalizing each of the notes, addressing each of their envelopes, etc. Once that Save-the-Date is safe up on your ride or dies’ refrigerators, you can’t follow it up with anything less than handwritten and handled-with-care. And that’s totally fine, because Bond offers super sleek invitations and thank you cards, too! Keep with your stationery theme or try something different, and just keep working that guest list spreadsheet. Of course, with some additions and exceptions. And when it comes time to thank everyone who came and brought a present you and your new spouse are so obsessed with, then just create another column with a description of what they gifted. 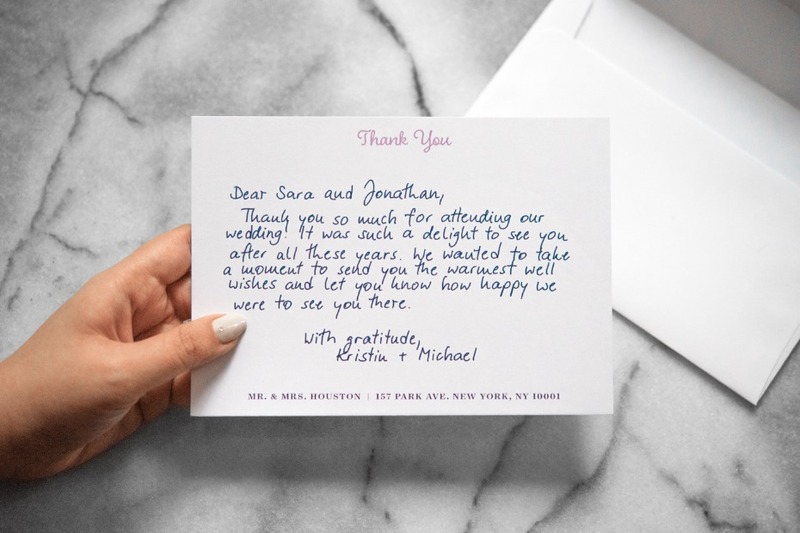 So whether you're inviting guests or thanking them, do it with the personal touch that only a handwritten note can provide. All of your correspondence is addressed and mailed from Bond’s facility in Clarksville, TN, but you can opt-out and have everything sent to you instead - so it comes postmarked from your neck of the woods (not that your guests are scrutinizing), and you can take a peek and make sure everything looks 👌 before going out. Postage is included as part of your note package, and Bond uses Forever stamps, but if you have your own custom stamps, ones that you’ve been using from the beginning, then you can certainly have them shipped to you (unstamped). And if the above still seems foggy, here it is, crystal clear: you’ve got sooo many shipping options with Bond. 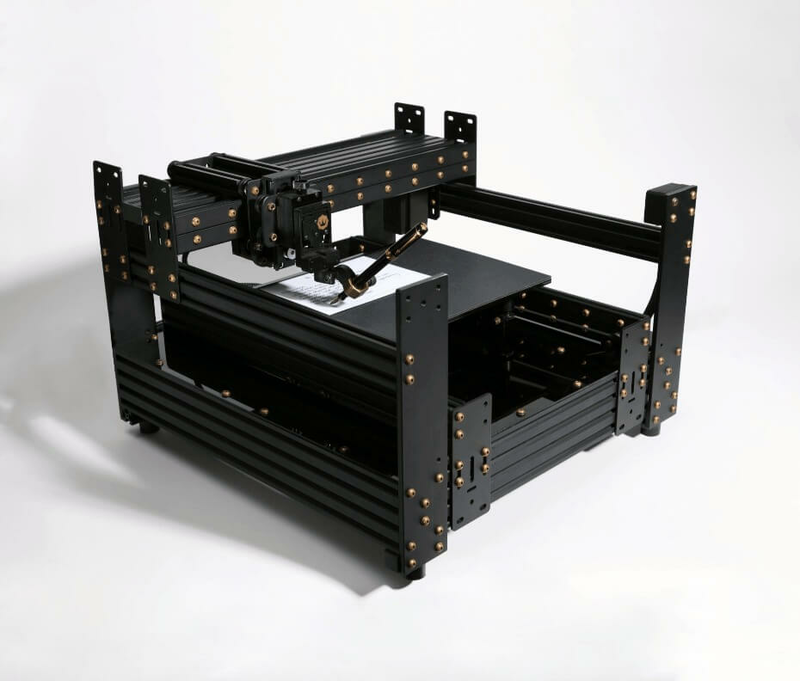 You can choose from assembled or separate, sealed or unsealed, stamped or unstamped. All for a cost-per-card ($3.50-$5) price OR, even better, a buy-in-bulk package - which saves time and money! RN, Bond is offering 20 percent off for anyone who enters “WEDDING” @ checkout. You can’t possibly forget it, wedding is probably the biggest in your word cloud…. We partnered with Bond to give you a next-level STD idea to consider. As always, thank you for supporting our sponsors!